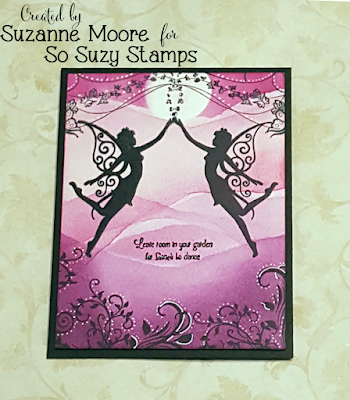 Welcome to our February Mirror Image Event with My Sweet Petunia, The Ton and So Suzy Stamps! A year and a half ago, Iliana called me up and asked if we could figure out a Mirror Image Stamp that would work with the MISTI. We tried out several different styles of rubber and finally found the perfect style to work with both red rubber and photopolymer stamps. This month we are going to be doing a bit of celebrating our wonderful Mirror Image Stamp with a month long celebration complete with prizes, inspiration and a fabulous collaboration with some of my favorite crafty friends! Every day in the month of February, the design team members from My Sweet Petunia, The Ton and So Suzy Stamps will create a card using the Mirror Image Stamp. There will be blog posts, videos and a ton of instructions on how we all use the Mirror Image Stamp. We will have the entire list with links to everyone's post on the So Suzy Stamps blog so you can come back and see the inspiration on a daily basis. 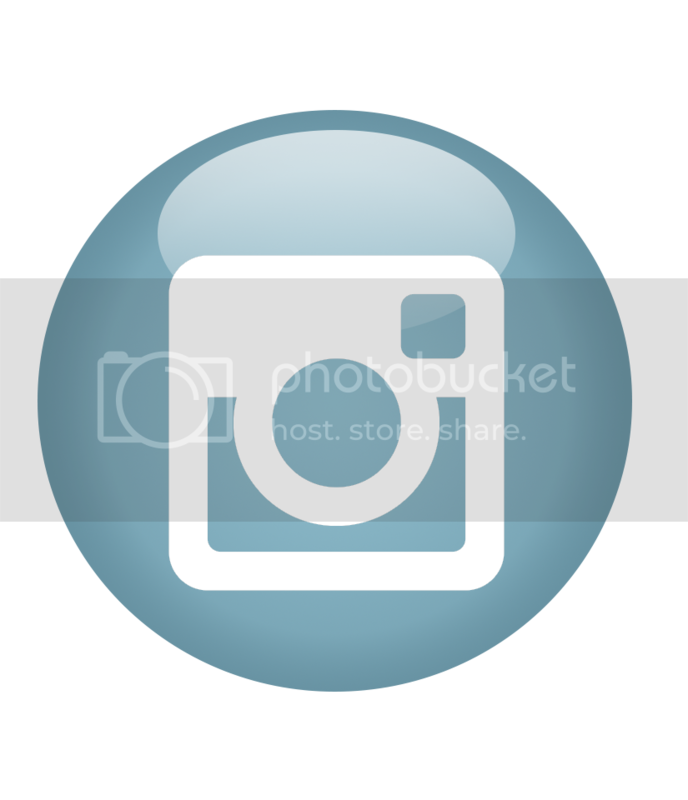 We will also be sharing the cards on Facebook and Instagram, just in case you miss a blog post. As for the prizes, oh my! We have prizes from My Sweet Petunia, The Ton, So Suzy Stamps and Simply Charming Everyday. 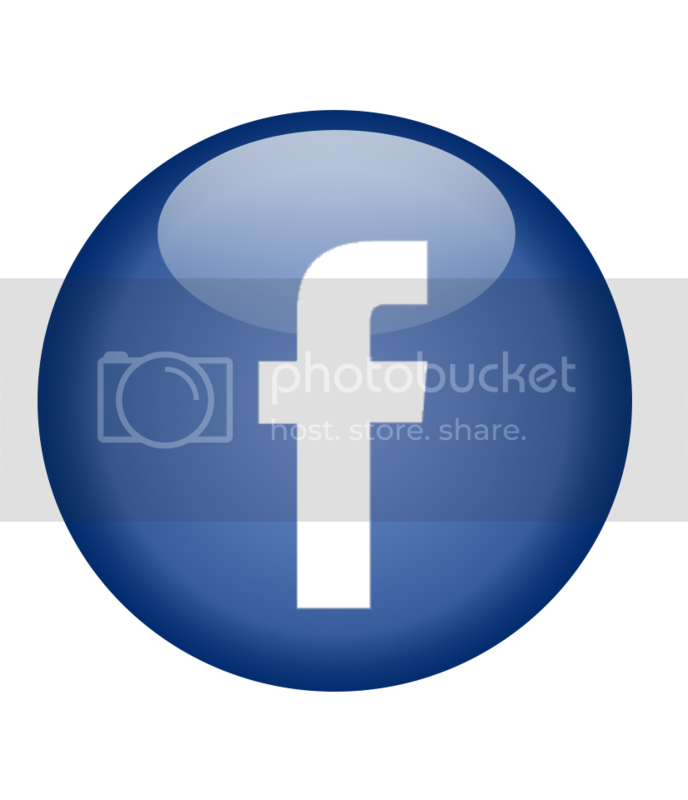 All you need to do, is comment on everyone's post throughout the month. We will be announcing the winners on February 28th. What do you say we get this show started with our first Mirror Image Stamp card? 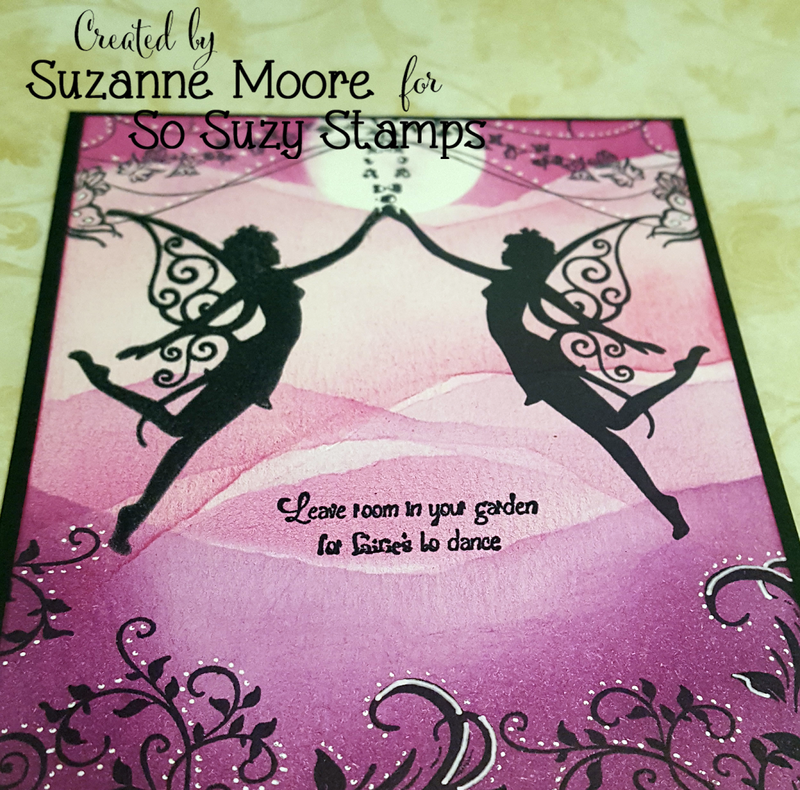 The Dancing Fairy is one of my favorite stamps and I just couldn't resist using her for this post. 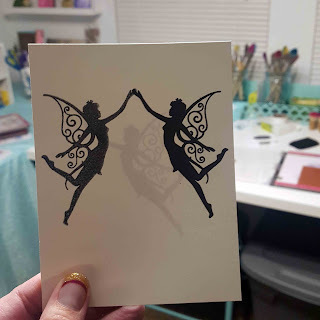 I have this cute little sentiment, "Leave room in your garden for fairies to dance" and by using the Mirror Image Stamp I was able to have Dancing Fairies! I started by stamping the fairy with on the right with my MISTI onto my white paper like normal. Then I removed the white paper and placed the Mirror Image Stamp in its place. Without moving the fairy stamp, I inked her up and stamped her onto the Mirror Image Stamp. I did it twice to make sure the black ink was good and inky. Next, I simply laid the white paper onto the Mirror Image Stamp and voila! I had dancing fairies! The silhouette of the bottom fairy was from the back side of the paper and I loved out it looked! For the background of the image, I used my Whimsy Tree and stamped the tops of the tree onto the bottom of the white paper. And for the butterflies coming out of the fairies hands, I used the Blowing Butterflies and the Mirror Image Stamp. Once I had the images all stamped out, I pulled out the Perfect Plum, Highland Heather and Petunia Pink Ink Bites from our Peacock Plumes Ink Bite set and used a combination of sponges and Clarity Brushes. I used torn up pages of paper to get the different "hillsides" in the background and sponged over them. I wanted to add a few accents to the leaves branching up so I used my Gelly Roll White Gel Pen to add a few dots and outlines to my branches. The final step was to ink up the sentiment and place it on the front between the fairies. 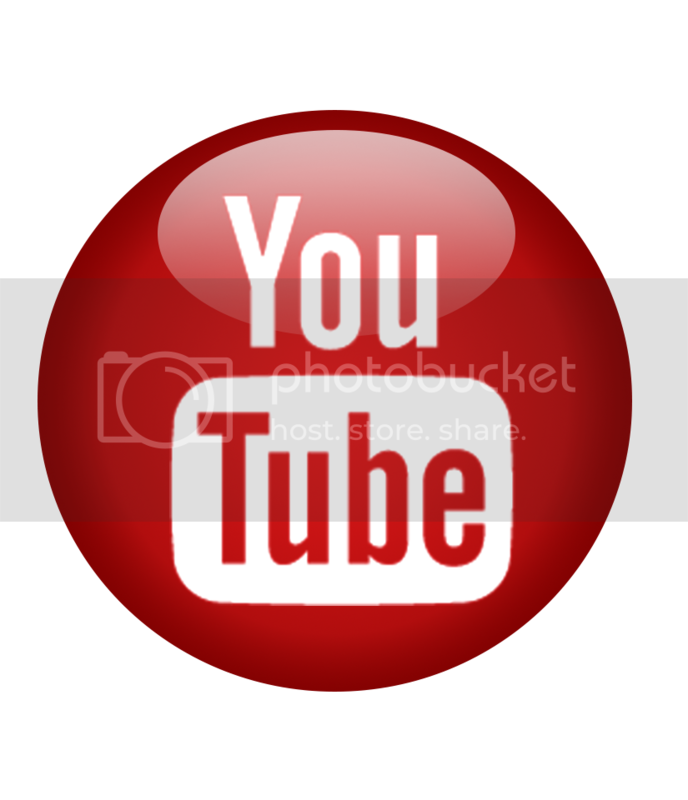 If you want to see how to use the Mirror Image Stamp, we do have a video to show you the basics. It isn't for this card, but Justine does a great job at showing you how to use it for reflections! Tomorrow, Iliana will be up on the blog making another card using the Mirror Image Stamp! This is an amazing card. I must have the mirror image stamp. Is it available on the So Suzy Stamp page? The Dancing Fairies are so pretty ....I love it! OOOH! I have one of these mirror image stamps, but I haven't used it yet! I also have similar fairies!!! Thank you for inspiring me! What a sweet card design. Love those fairies! Does a certain type of ink work best? Looking forward to this series. Thanks. Beautiful! It is amazing to see all the modern ways of making cards. I'm still in old school wooden stamps mode and need to upgrade. Thank you for sharing, the possibilities are endless! Amazing card! You've inspired me to dig out my mirror stamp and try again. Oh my gosh I haven't ever tried mirror Image stamping. Love your sweet fairy card. Thank you for the video showing how you did the mirror image. This sounds like such a fun month. Thank you! Gorgeous card! Beautiful colors and details! I love the Mirror Image Stamp and all the possibilities! Looking forward to this month-long collaboration and all the projects! I can see I'm going to have to get a mirror image tool. Excellent. That is amazing! Thanks for sharing! Well done Suzy. Love it and got to try it! I love this card! The colors are amazing. What a great card & technique. You hit it out of the ballpark Suzy! Need the mirror image stamp fo sure. Well this is fun and pretty easy. Good thing I checked in with My Sweet Petunia today. I love the colors, and the stamp is perfect!!!! Gorgeous card and the colors are so pretty. Thanks so much for the video, will definitely be stamping lots of mirror images. GREAT!!! great technique. Would love to have this option at the ready! Love this card and the dancing fairies are great. Need to add a couple more things to my wish list, love how easy it is to mirror images! Great card! I definitely need a mirror image stamp! such double beauty faryies!!! love them!!! nice work!!! This is such a clever idea. I have needed an image facing the opposite direction so many times. I'm so excited that now I will be able to stamp one! Beautiful card as well! What a great idea for a Valentines Day card using any image. Love is two sided! Finally something that really works for mirror images. Always loved this technique but nothing ever worked to my satisfaction. Your card is spectacular and instructions top notch. ...Such a sweet card. Love the mirror stamp, will broaden ability to create cards the was I want them to look. Great idea to use in Misti! This mirror image stamp looks like it works really well. I've tried the back of larger clear stamps before with generally unsatisfactory results. This looks like you get a great image - well done. So beautifully done! The piece of rubber seems like a must have now. Love this card, so pretty!!! The mirror image stamp is a wonderful idea. Love the fairies. I haven't tried mirror image stamping, but am inspired by your beautiful card. Thanks for the video. Awesome card. Thank you for making the video sharing your ideas and techniques. 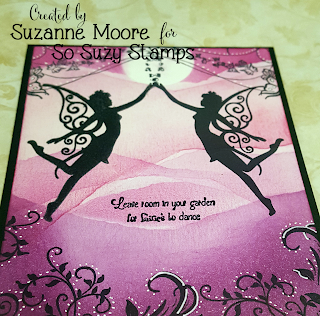 Thank you for sharing the how to of mirror image stamping. Great card. I love the sentiment. What a very beautiful card!!! I just love fairies!! Suzanne, this is staggeringly beautiful! You have outdone yourself, lady. That is so cool! Must try this... Beautiful card, too! OMG!! I love this!! Definitely getting this stamp and can't wait to play!! Thanks for the nonth of inspiration! !Can't wait to see what the designers create!!! See you tomorrow! Great idea! Looking forward to the month of inspiration! Love the mirror stamping tool! I've seen several and this seems to give the most crisp mirror images. What a garden would be without fairies ? Your mirror image stamp is really a great idea (cannot wait to receive my order, LOL ! ), your stunning card proves it ! Your fairy card is awesome. I am already learning a LOT from this! TFS! The Fairies are awesome great card love the mirror imaging. Oh, this is so cool. Awesome technique. Love the pretty silhouette fairies. Super technique. Thanks for explaining. I'm going to try it right now!!! Magical card! Now I, too, can do! Thanks for the explanation! What a clever card, Susy! I love those adorable fairies. Thanks for the great mirror image tips. Love it! Learned something new again.. (Big Smile) Love the cards and inspiration. Thanks so much for sharing. Oh my goodness, what a beautiful card, Suzy!! The mirror image stamp is such a great tool. Great technique! Thanks for sharing your pretty card design! Awesome, I just ordered the mirror image stamp...can hardly wait!! Love your dancing fairies! What a magical card and thanks for sharing how you made it. The fairies are great. Love the Mirror image stamp. Beautiful card! I love how easy it is to mirror image with the mirror image stamp and the MISTI. I have both and need to do this technique more often. Great project! I appreciate the tool like MISTI and the mirror image stamp, because so many ideas are possible now by using them. Thank you for the chance to win! love the card with the mirror images. I tried the acetate and did not have good results. Thank you for showing everyone a new way to mirror images. Beautiful card, love the technique. Thanks for sharing. Wow beautiful card. I like the colors. Gorgeous! I want the stamp! I love the effect of this technique! Thanks so much for the great video from Justine, and thank you for a chance to win! OMG!! This card is so pretty! I love all of it. This is the perfect technique for this fairy! Gorgeous card, Suzy! Love the mirror images. Makes a clever card. Lovely card. So straightforward with the mirror stamp and Misti. Great idea, how clever! I love how you create the circle of dancing fairies! Beautiful card! Amazing using the mirror image stamp and the Misti; the possibilities will be endless! Beautiful card! Must start making one! This is so awesome. I remember years ago I looked for a way to do this but nothing worked good. Looking forward to this. Great way to get mirror image, Thanks! Now I have ideas dancing in MY head! Very pretty! Love that background! Lovely card. The Mirror Image Stamp works beautifully! Such a pretty card, I love fairies! I’m on my way to order me this Mirror Image Stamp the size makes it a win win! Thank you for showing how to use it correctly! I am totally loving the video tutorials on the Mirror Image stamp. TFS Justine such great ideas on BOTH vids. This mirror stamp looks very nice! I used acetate befor and it didn't work well. What a great tool, love the card. It truly expresses fairies dancing. What a gorgeous stamp....thanks for the video. This is a fun technique. I can't wait to try it! This is a very clever idea. Thanks for the inspiration. Great technique and beautiful card. Thanks for having this event! Your card is amazing. Love the fairies! The mirror image is perfect!!! I've always loved mirror image stamping but have never been brave enough to try it. This monthly log collaboration is likely to get me over that hump and give me the courage to try it. thank you! I have been inspired to give this a go. As soon as I get that mirror image stamp that is. Those colors are beautiful! And the details added to the leaves with the white gel pen just sets everything off. Beautiful. Beautiful card. Love this technique. what a beautiful card - as i had said, i had heard of doing this but had no idea on how. Terrific card and love the technique! 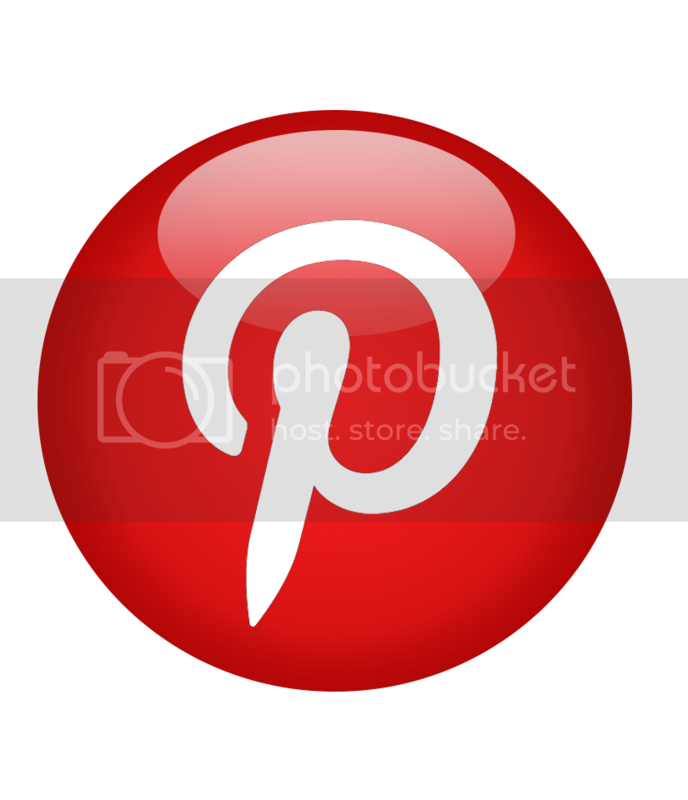 have my mirror image tool on order. Lydia my jar literally dropped when I saw your card. Immediately showed it to my husband. Thanks for sharing the video. Gorgeous card! Love the purple with the sweet fairy images. Your card is just stunning! What an amazing technique, thanks for the tutorial and fabulous inspiration! I love those fairies, and being able to stamp backwards and forwards just gives you so many more possibilities. I love your card and this is the best mirror image stamp I've ever seen! I love your card! I've always wanted to try mirror image stamping and now this stamp makes it look so easy! What a great card and a great way to get a mirror image! Lovely card. Great technique I will be giving it a try. Thanks for sharing. What a beautiful card! 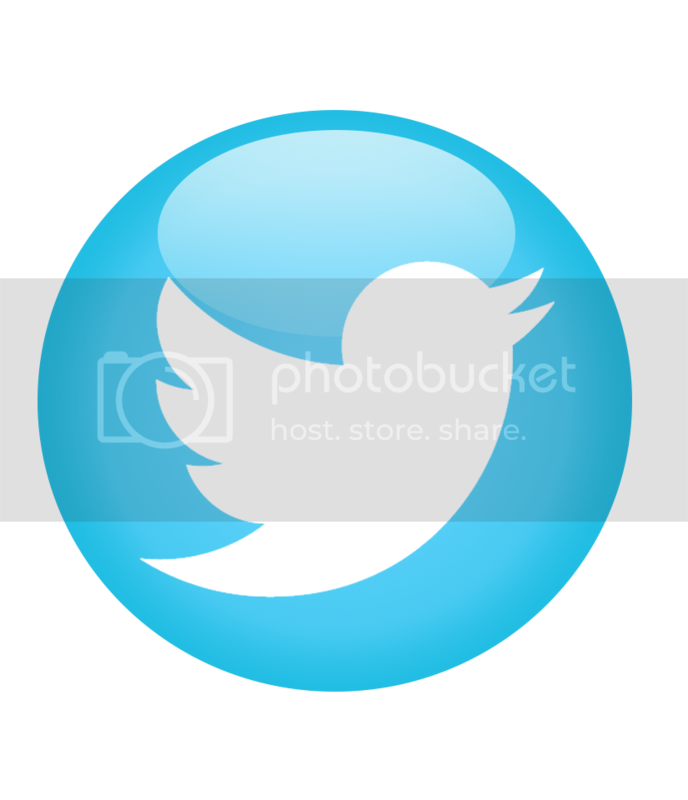 The mirror image tool makes it seam easy to do. Thanks! must try this. i like symmetry. Your card is so gorgeous. Such a wonderful solution to mirror image stamping. My wish list just got bigger!!! Beautiful! I love what the mirror image stamp can do. Thanks for starting this month-long of tutorials. It has been very inspiring! Mirror stamping has always intrigued me. Love what you created! Thanks for showing how lovely the mirror images can be, I bought one of these stamps but had not be really sure how to use it. Your card is absolutely stunning! I love all the embellishments and colors you used on your card. I LOVE these sweet faeries! The colors are amazing too! Beautiful card! I love all the fairy stamps & being able to reverse the image is awesome! Oh, you make it look so easy, I am a little intimidated with this reverse stamping, but going to give it a try. Thanks for the instructions and the lovely card!! Thanks for making such an awesome card! Love the Mirror Stamping Technique, always wanted to give it a try! Oh my gosh, this is just what I have been looking for. Beautiful card, it is so enchanting and magical! I love how you created the hillside, looks amazing. 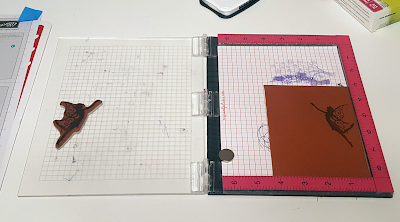 I think this mirror stamping technique is brilliant and I have looked for a long time for a, so yeah, thank you for creating this. Such a fun event!! I just learned about your mirror image stamp and I totally need it!! Suzanne your card is magical! put them together is a magical idea. Love your fairy(ies)! Have wanted mirror image stamp forever and now can't wait for it to get here! Love this technique. The fairies are fabulous! Beautiful card. Love all the techniques you used. Beautiful card-thanks for the instructions! WOW... that is amazing mirror stamped images! LOVE the card. How wonderful that you've embarked on this fabulously inspiring event...and the card you've created to launch the series...oh my! The only thing better than one lovely fairy is two! Gorgeous card! The mirror image stamp is one of the most exciting products to come out lately because it has so many fabulous uses. Can't wait to see all of the ways the designers use it! Fabulous mirror card! Love the stamps as well! I just love that card. The fairies are so cute. I'll have to try that.. This card is beautiful! Love the fairies! What a wonderful way to use the Misti ! Excited to get a Misti , the mirror stamp and try the technique! gorgeous card!! that fairy stamp is so pretty. totally love the mirror image technique :) thanks for sharing! Oh, my! It is now on my wish list! Love!!!!! Beautiful card, Suzy! I'm so glad you are covering this technique. It made me try something new and I just love it! Beautiful. Such a beautiful card! Love the dancing fairy!! Very pretty! Just wanted to stop by again and let you know how much I am enjoying this awesome collaboration! I have already placed two orders and have a third in the works! Each day I a finding new stamps that I simply MUST HAVE! The designers have all done a fabulous job inspiring me to make lots of mirror image projects! My first order included the Mirror Image stamp and I am having so much fun playing with it! For those who don't have a MISTI I just want to let you know that it IS possible to do this technique also! It isn't quite as easy without the MISTI as it looks with it but it CAN be done! Thank you for putting this whole event together and opening my eyes to a new technique that is so much fun!! I am looking forward to the last few days of the event and can't wait to see what else the designers come up with! See you tomorrow for the next post in this awesome series of inspirational fun! I am really excited to learn all the new tips and techniques with the mirror image stamp. I think this fairy card is gorgeous. Thanks for the step-by-step instructions. Very helpful! I love this card, it's beautiful. Of course I love the fairies. I never knew how to use that until seeing the video 😊 Now I may need one. I love this card and the mirror image technique! Great inspiration-thanks Suzanne. Excited to see this technique and try it. Ok, I love this! Payday I need to get the mirror image stamp... or win the gift certificate, lol!!!! Love the fairies, I have the mirror image stamp and I need to use it. Beautiful card, the colors are perfect. Such a cute card. I will have to get out my mirror image stamp and start using it. come fly with me beaitiful faries!!! gorgous card!!! Just love the mirror image cards! Love your card! I need this mirror image stamp. Gorgeous card!!! Love how you mirror imaged different stamps. So love the dancing fairies. Thank you for all your help with this wonderful mirror image stamp - I love the "event" with so many great ideas! Seeing fairies dance just makes a girl happy. So creative Suzy. One gorgeous card!!! Those little fairies are perfect together. Love the colours. Just stunning!! I am so glad that I finally learned this technique. Your card is gorgeous! Cool mirror image cards. Love the fairies.